At my "real job" I have three lovely senior citizen volunteers who help me on the days I have grades K-1-2 in the library. 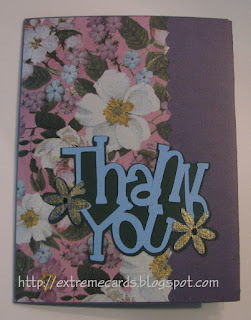 I made them each a Thank You shutter card with class photos on the inside. My inspiration was a flat front shutter card from Dreaming About Rubber Stamps. 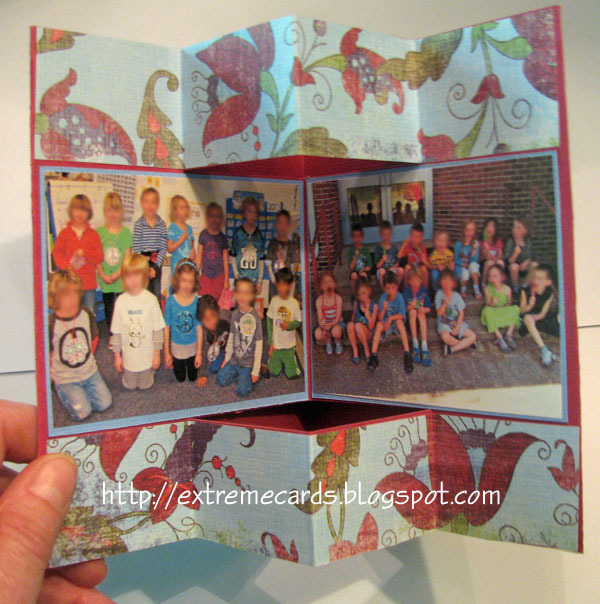 I liked the layout of the inside, which suited my need to put two equal sized photos side by side. 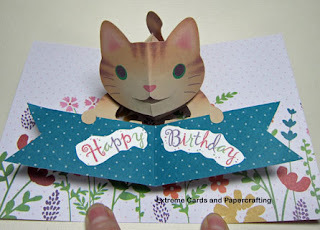 I added an outside wrapper to make the card open in a more conventional way. 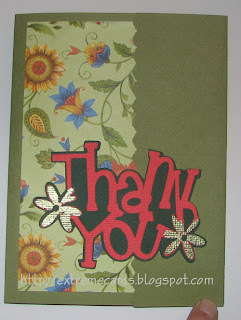 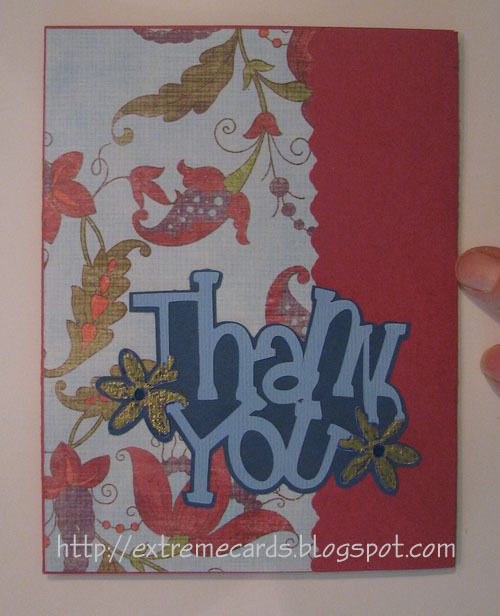 The "Thank You" cut file is from Custom Creations by Tamara Bennett. 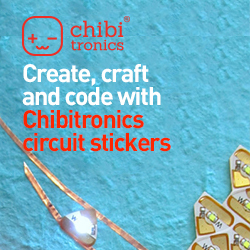 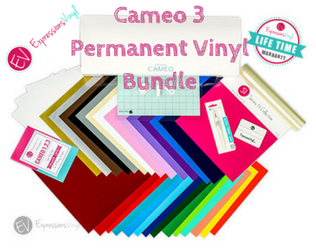 You will need a 12" square piece of cardstock and a 9" square of decorative paper. Begin with a 12" x 12" piece of cardstock. 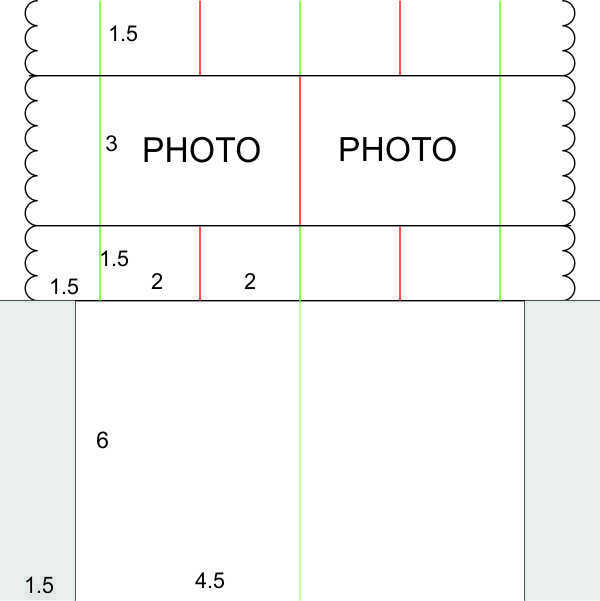 Cut along black lines, score along green and red lines. 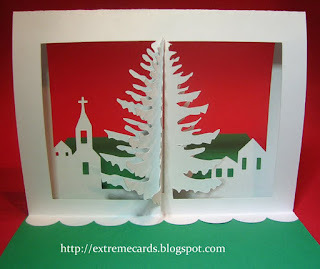 I cut the scalloped edge with decorative edge scissors. You could use an edge punch or whatever you have. 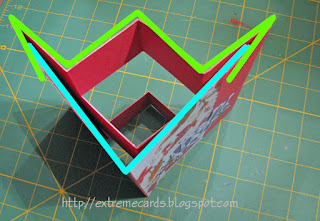 Mountain fold green lines, valley fold red lines. 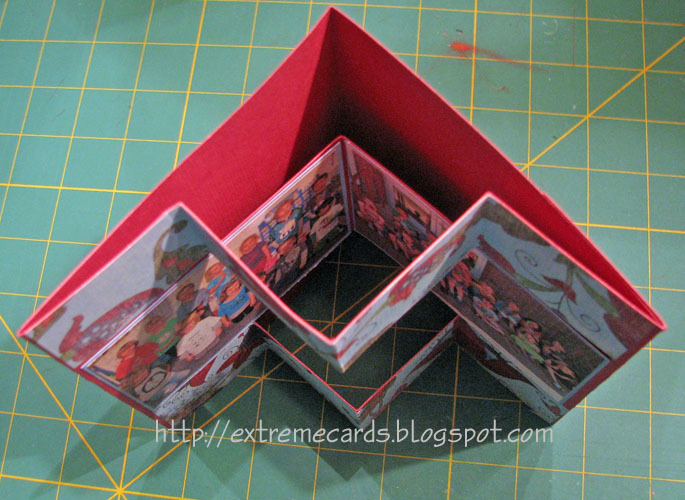 The piece with the multiple cuts and folds is the inside of the card. 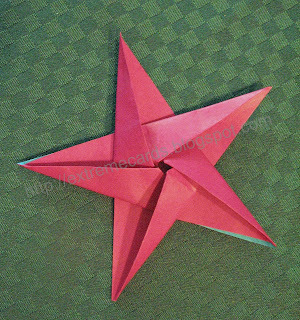 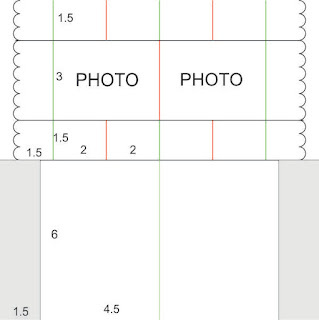 The 6" x 9" piece, folded in half, forms the card front and back. 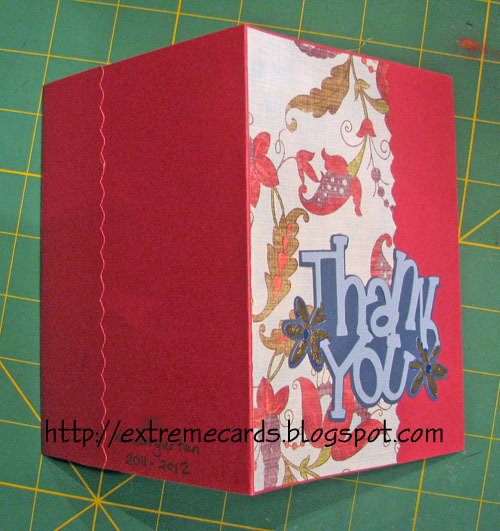 From the decorative paper cut a front piece slightly smaller than 6" x 9" and two inside strips slightly smaller than 1.5" x 8". 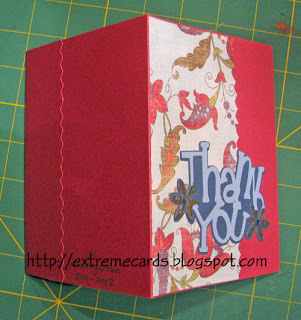 Adhere decorative paper to the card front. 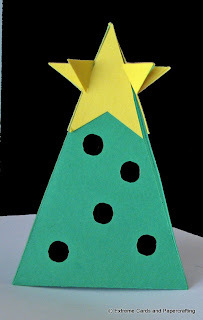 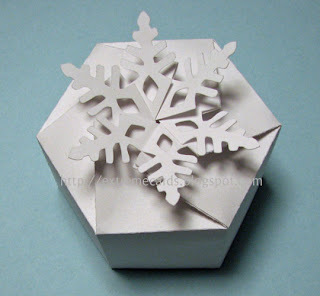 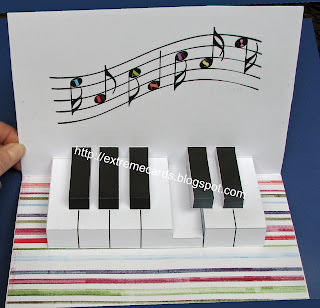 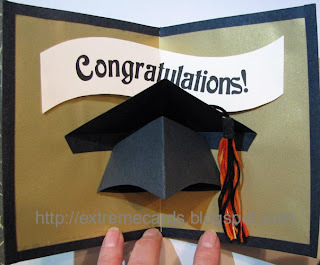 Assemble the card by folding the scalloped edges of the inside piece around the edges of the card front and back. 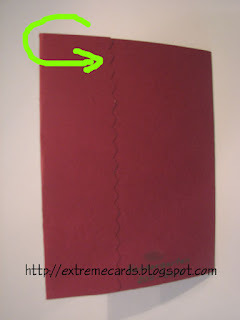 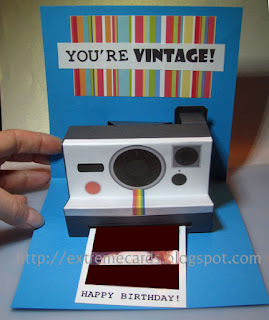 Glue the scalloped edges to the front and back of the card.